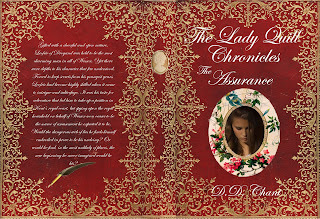 The Assurance Now Has A Cover!!! So I have news!!! Not only does The Assurance now have a cover AND a synopsis, it also has a Goodreads page!!! The Assurance will also be the first of my books to come out in paperback form and ebook form at the same time. I do want to prepare you though: as I've mentioned before Leofric's book is on the long side. This means that the Paperback version is going to be a little bit expensive because Createspace sets the minimum price of the book and I can't do anything about it. It think it's going to be at about the $20 price point. On the up side I'm sooo pleased with how the cover turned out! I want to be all cool about it but I can't be so I'm gonna point out that it's red. As in Leofric's red hair. Yep, you've got it: I've been saving this cover for four years to tie in with Leofric's curls. It's sad that I've given it that much thought, isn't it? That I've been excited for this moment to reveal my brilliance to you all. Gifted with a cheerful and open nature, Leofric of Drogand was held to be the most charming man in all of Wessex. Yet there were depths to his character that few understood. Forced to keep secrets from his earliest years, Leofric had become highly skilled when it came to intrigue and subterfuge.It was his taste for adventure that led him to take up a position in Kent's royal court, but spying on the royal household on behalf of Wessex soon ceased to amuse him.Would the dangerous web of lies he found himself surrounded by prove to be his undoing?Or would he find, in the most unlikely of places, the new beginning he never imagined could be his? Which brings an end to my news. I'll update you as soon as i have a release date, but until then: read on bookworms!!! I am pleased to be able to announce that I have just finished the last edit of The Assurance!!! 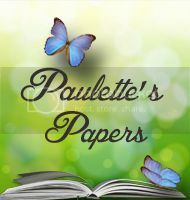 Now I just have to send it to be proofread and hand it over to my beta readers and it will be ready for launch!!! I can hardly believe how long it's taken me, but life has been steadily encroaching on my writing time for months now. It didn't help that Leofric, having found himself centre stage, would not behave and kept on throwing me curve balls. Long story short (only in this post though, 'cos Leofric's book is really, really long), The Assurance came in at 149.000 words. Couldn't shut Fricka up once I let him loose in his own book. Despite being unexpectedly lengthy, I'm pleased with how the book went; Leofric is such a great character to write with his effervescent attitude and the sadness it hides. 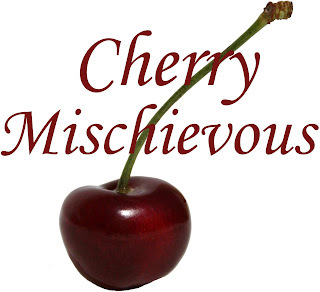 It was hard walking the line between exploring the misery in his past, and yet still focusing on the cheerful, mischievous knave we know and love. One of the most daunting things about writing The Assurance was that so many readers have told me that Leofric is their favourite character! It's very nerve-wracking and I just hope that I've done Leofric justice! Do you agree with popular opinion, or do you have a different favourite? Let me know in the comments section! 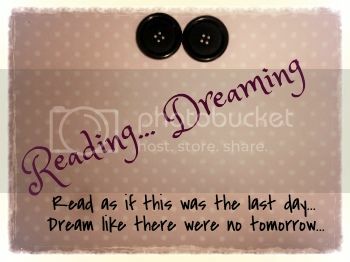 Until next time: read on, bookworms!!! Update! The Assurance and More!!! Hi everyone! Long time no post!!! Time For Something Random: How To... Make Butter!!! So it's been a busy few months for me and I've been sadly neglecting my blog again. I've kind of embroiled myself in a new obsession. I know, I know; I'm supposed to be writing every spare moment I get, not indulging in other hobbies. The thing I noticed when I started googling recipes was that a lot seemed as though their whole purpose was to convince me that it was far too hard to try, and that my tiny mind wasn't capable enough to make any of these things. Now, that just isn't something you imply to a Chant!!! I found that most recipes weren't really 'difficult' as such: they might take some forethought and be a little time consuming, but for the most part they were things that you could leave with a timer on and get on with something else. Butter is one of the things that is easy as pie, but takes a little time. However, it's fun and very rewarding! My cousins both love to get stuck in and help. I use seven pints of cream and that yields 5lb of butter and 1 1/2 litres of buttermilk. Okay, so first just pour the cream into your bowl and start whisking. Until finally your cream starts to take on a buttery yellow colour and clumps together and no longer sticks to the whisks. Now it's just a matter of squeezing handfuls in to lumps. And 'washing' it in the washing up bowl of cold water. Just squish it in the water and the water will start to go opaque as the remainder of the buttermilk is washed out. This prevents the butter going rancid. Tip the water away and wash the butter in a new lot until the water stays clear. Now it's time to add the salt. How much salt you add is down to personal preference, just make sure you kneed the salt all the way through the butter. Then have a little taste to see if you've added enough. If you add too much salt, don't panic: just wash the butter again and it will wash the salt out. Then shape into rounds with your hands and wrap in greaseproof paper, I use greaseproof bread cases. Your butter will keep in the fridge for a week easy and once you've had your own, it's pretty hard to make do with shop bought stuff!!! You will also have the perk of buttermilk, which makes the fluffiest scones on the planet! Broken Pride: Release Day TOMORROW!!! I can hardly believe it but tomorrow is THE day!!! 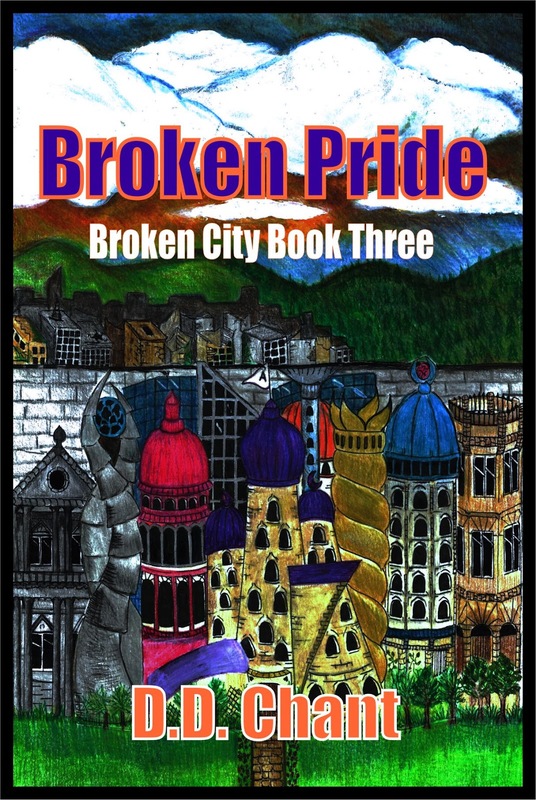 Broken Pride's tour has been rescheduled for next month and all three books in the series are available for review, so if you're interested just fill out this sign up form. In other news The Promise just made it to a hundred ratings on Goodreads! How cool is that?!?!? Until next time: read on bookworms! Update! 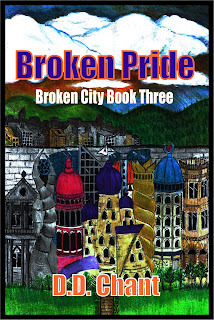 Broken Pride, The Lady Quill Chronicles. So it's been a while since I last updated (bad DeeDee!). I've been superduper busy with book stuff: Broken Pride is coming out on the 20th of this month and I cannot even begin to tell you how excited I am!!! Unfortunately I've had to push back the tour until next month, but that just means that there's plenty of time for you to sign up if you want to take part! Just click on this link to sign up! If you haven't read the first two books in the series, don't worry: they're available to read and review too! 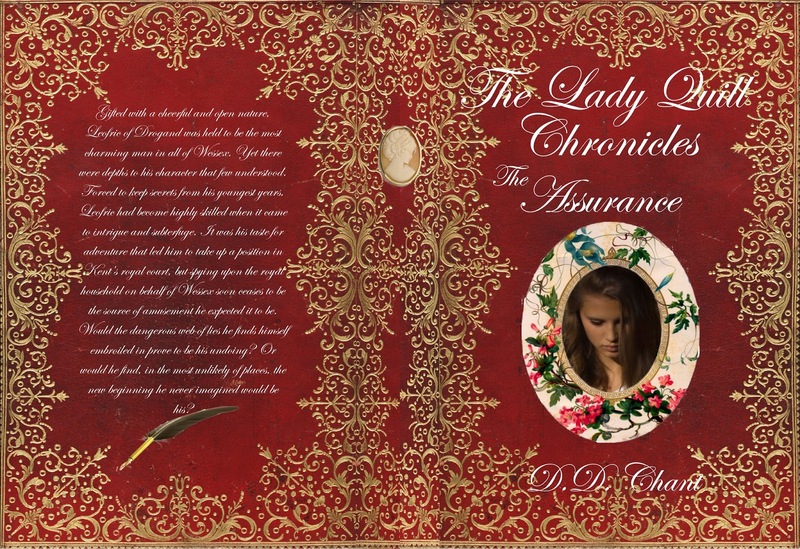 I've also managed to knuckle down and get some work done on 'The Assurance' (The Lady Quill Chronicles, #3) and I'm now 20.000 words in!!! This book is shaping up to be quite different to the previous books in the series, mostly because Leofric is a very different kind of hero to Rafe, Rand, or Finan. I'm enjoying the shift and getting to know Leofric better, and I can't wait to see where his story is going to take me. He's very playful and mischievous, not so serious as his foster brothers. And of course, we'll get to see his legendary way with women!!! Also we'll be hearing a lot from the rest of the gang: Rafe and Adele, Finan and Esme, Aisley, Daegmund and Anlaf... I promise we'll hear from them all! 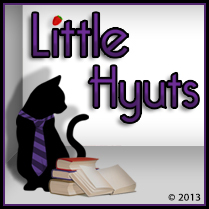 In the meantime: read on bookworms!!! So it's almost that time!!! Pretty soon now Broken Pride will be ready to launch and I'm getting it's book tour under way. So if anyone's interested in taking part please click on the link below. Sign up for Broken Pride's blog tour! Blogs D.D. 's Been Featured On!!! 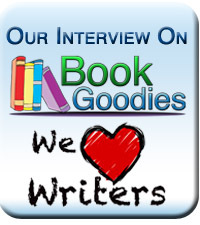 Share book reviews and ratings with D.D., and even join a book club on Goodreads.